It’s no secret that I love Rachel Zoe. Ever since I discovered she was the mastermind behind Nicole Richie, Mischa Barton, and Lindsay Lohan’s style, I became obsessed. I love her eclectic, boho chic style. Her style influence can be seen everywhere (for better or worse). She has become a major driving force behind many fashion trends today, as she personally decides what Hollywood’s style icons are wearing. She is bananas. I die. 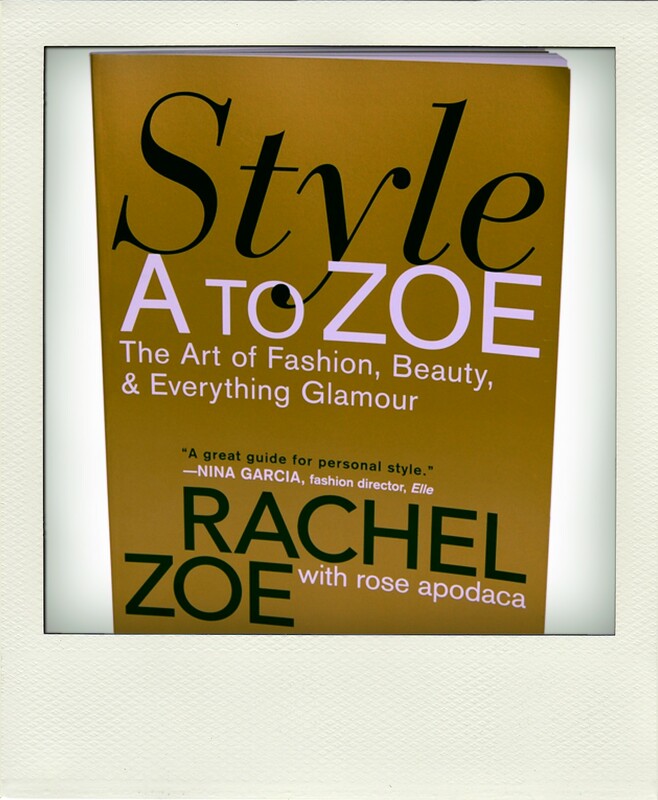 In order to further my Rachel Zoe education I bought her book, Style A to Zoe: The Art of Fashion, Beauty, & Everything Glamour , the second it came out in 2008. I didn’t put it down until I finished reading it. I even brought it with me on my journey to Seattle for the Annual Glitter Sale. I was hoping to pick up some good tips on leading and dressing for a more glamorous lifestyle. She has some good recommendations on things like: How to have your own red carpet moments, developing your own glamourous style, EXCESS-orizing, packing and traveling like a jet-setter, and more. Some of which I still implement today. Then she came out with a reality show in 2009. The Rachel Zoe Project is bananas amazing. It was incredible to get a glimpse into the chaos that is her life. Not to mention the show is hilarious. She can be extremely dramatic and eccentric which makes for hours of entertainment. She has these one line zingers that kill you, literally. It’s amazing how easily adaptable these can be to one’s life. I even got my neighbors into the show because she is that amusing! While finishing up my last year at FIDM I was asked to create a movie about one of my personal heros. So naturally I chose Rachel Zoe. To complete my project I had my neighbors helped me make a short spoof on The Rachel Zoe Project. Megan played Rachel Zoe, Aaron was Brad, and I played Taylor. I am not gonna share the whole thing but here are some of my favorite clips of Megan performing some Rachel Zoe-isms. I have to admit, Megan shut it down. Thanks! It was really fun to make. We could not stop laughing. Of course what you don’t see is Coco KILLING IT as Taylor. She was LITERALLY amazing. No you were, LITRALLY amazing. Ahhhh-mazing! I dieeee. Great clip of you and Megan! HAha thanks! It was really fun to make! LOVEEEEEEEE!!!! I was laughing out loudd. Megan is hilar! Awww I’m glad you laughed. That was what we were going for.